Manga is the Japanese word for "comics" and consists of comics and print cartoons, but if you're a fan of manga then you probably already know that. Something you may not already know is that your love of manga may be just the motivation you need to learn the basics of electricity. After all, if you never learn the basics then how will you build that giant crime-fighting robot you've been dreaming about? 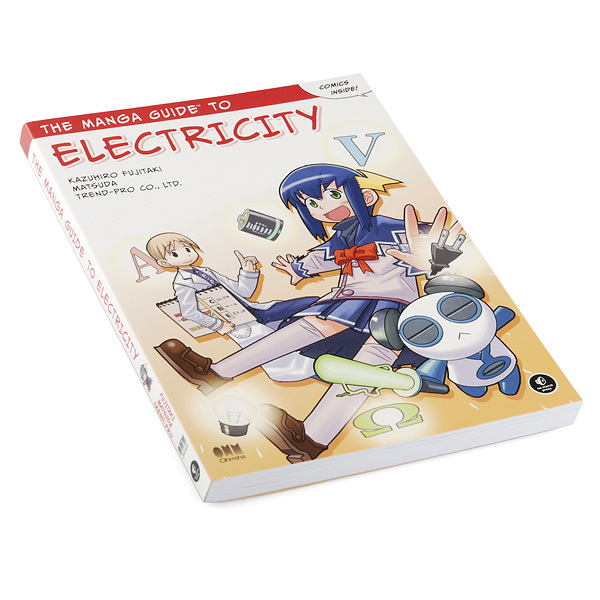 The Manga Guide to Electricity is a well-balanced book which introduces concepts through the trials and tribulations of Rereko (just your average high school girl from the land of electricity) and her ever-patient tutor Hikaru, as they work together to get Rereko through her final exam. These sometimes wacky but always informative examples are supplemented with notes and charts like you might find in a traditional textbook. 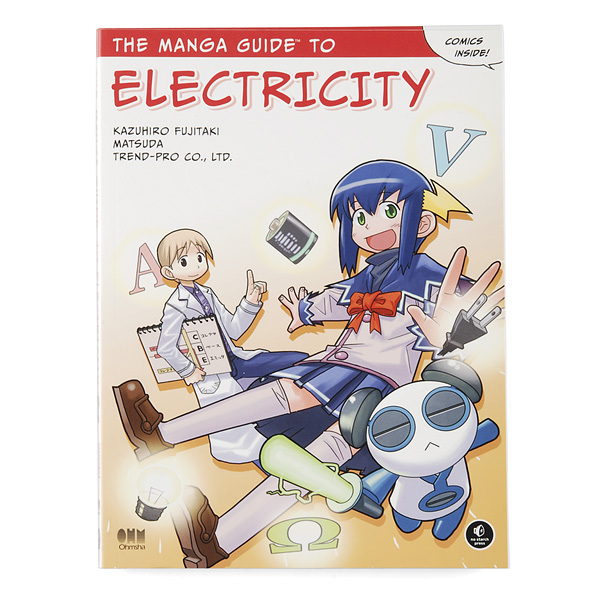 If thinking about how electricity works really fries your brain, let The Manga Guide to Electricity teach you all things electrical in a shockingly fun way. Publisher: No Starch Press / Ohmsha, Ltd. This is so definitely going on my Christmas/Birthday list right now. It's "Elecomics"! I am glad that there is a target audience for this book, because I looked through my brothers copy (he loves manga) and I couldn't stand it. Basically for manga fans, as you would expect. For me, I will stick with the text books. I've never thought about learning electricity or another quite difficult subjects (like exact sciences) with the help of manga. I only used http://www.topessayservice.net/buy-essay-online.php to do it. It would be helpful and innovative to teach students even in elementary school with mangas. They have a whole series of these books, this is just one. VERY well done, I think it's a wonderful thing for something like a first year high school course. It gets the points across easily and not too much fluff, but they do make it entertaining. Not a replacement for "Understanding Physics" by Asimov. This book is AWESOME! And I generally don't believe in using all caps. But this one time is fully ground. I wish there was a manga guide like this for everything, because then I'd know about everything. There is a Manga Guide to Statistics, Databases, Electricity, Physics, Calculus, Molecular Biology, Relativity, The Universe, Biochemistry and Linear Algebra. You could learn a lot. A fun, awesome book for complete beginners and casual learners. Good for learning the concepts. Touches on electrical-related subjects like Magnetism and Power Generation, Batteries, and Sensors. 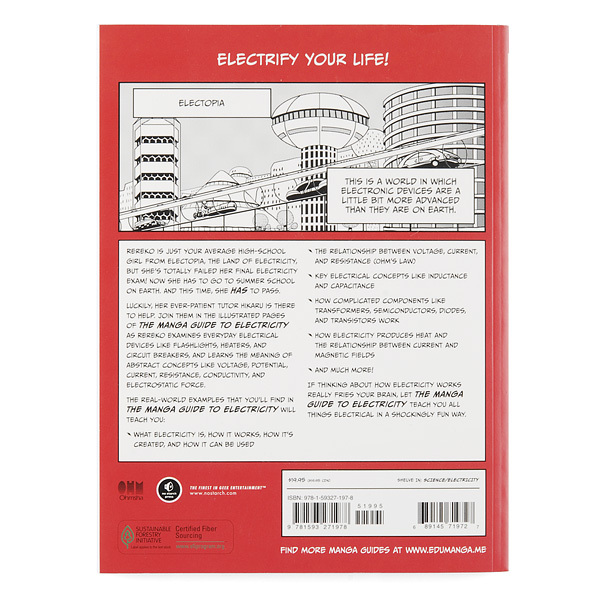 The book is a fun read and makes a down to earth approach to electricity.